I’ve always been a huge fan of coloring. And I’ve always loved dogs, any and all types. So I was browsing Tomoson and saw the review for the Dogs Art coloring book, I knew I had to have it. What a perfect combination for me. 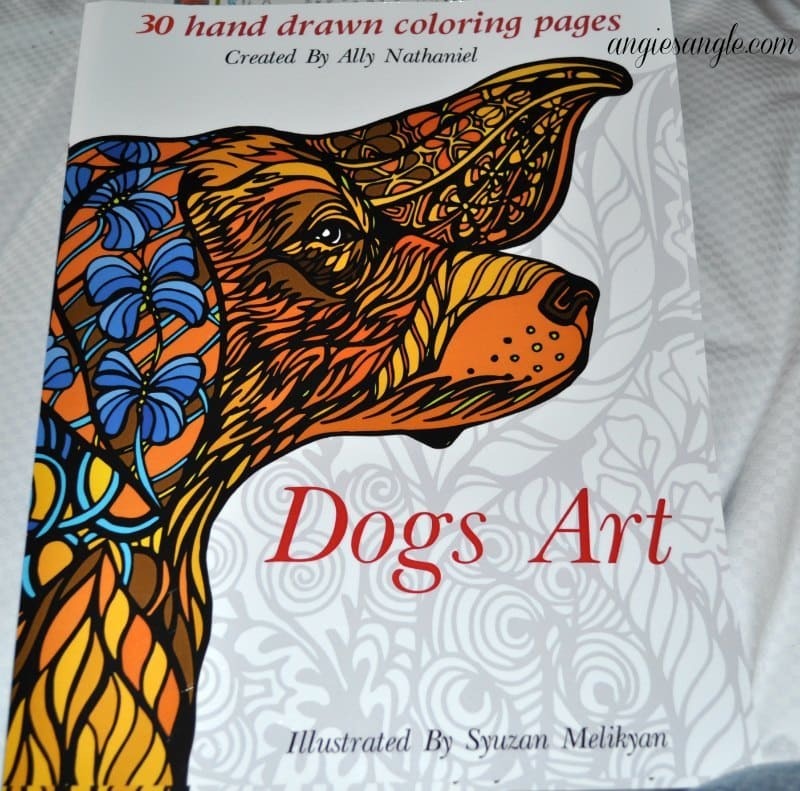 I was so excited when I got the approval to get the dogs art coloring book to review. 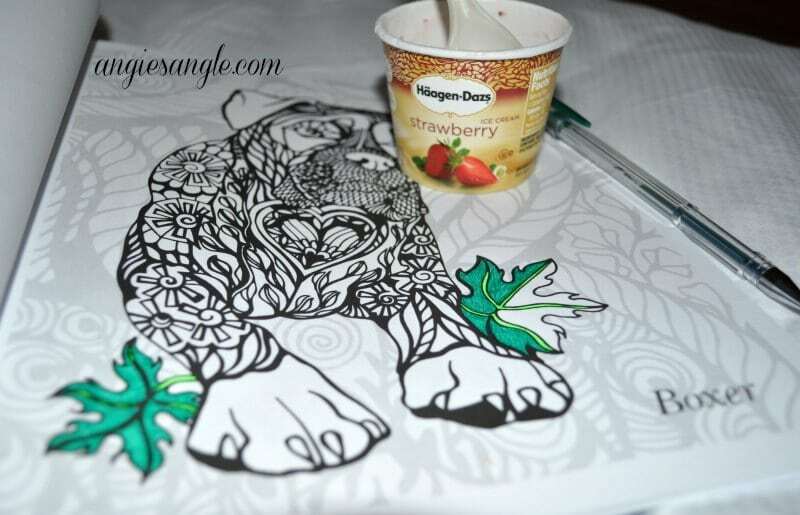 This dogs art coloring book is amazingly detailed though and you can really get a pop of color into your dogs. 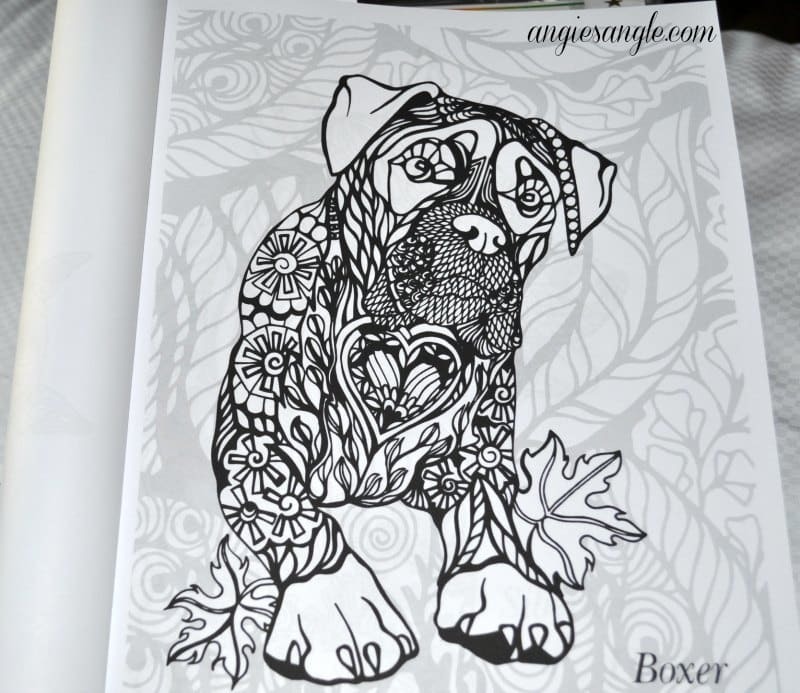 I loved the way my Boxer turned out and am so excited to get more of the dogs colored in the book. They are single sided, so if you use gel pens like I did, it won’t press through to the other side and ruin that picture. 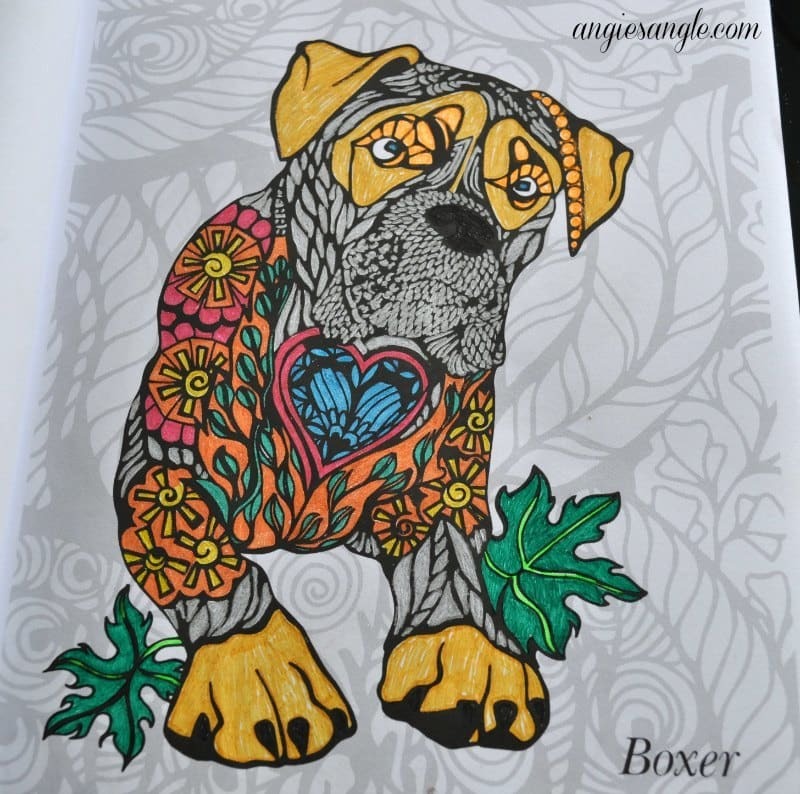 I finally finished coloring my boxer from the dogs art coloring book Sunday evening after our nice long walk in the day and am so thrilled with the way it turned out. The breeds included in this book are as follows: Australian Shepherd, Beagle, Boston terrier,Boxer, Brittanys, Bulldog, Chihuahua, Collie, Dachshund, French bulldog, German Shepherd, Great Danes, Havanese, Maltese, Mastiff, Pembroke Welsh, Poodle, Pomeranian, Pug, Labrador, Rottweiler, Shetland Sheepdog, Siberian Huskies, Spaniel Cavalier, Terrier, Pointer,Spaniel. Something for everyone and if you are a simple dog lover like me and love them all, you’ll find pure enjoyment in coloring every single cute dog in this book. You can buy this dogs art coloring book at Amazon and have it in your hands quickly so you can start coloring them yourself. I love it and I am sure you will too!